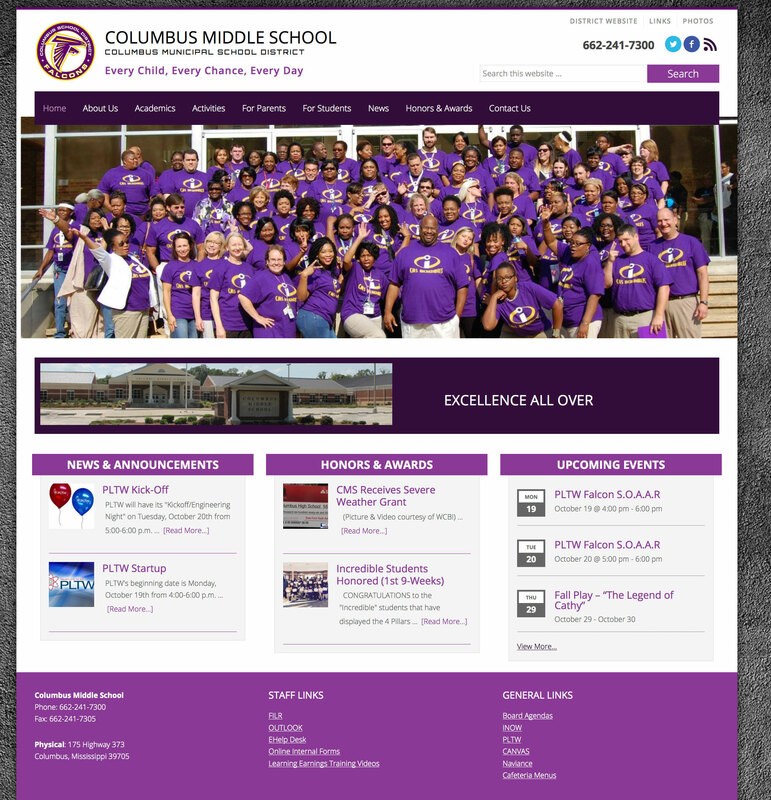 The Columbus Municipal School District contains multiple schools each with similar website needs and goals. We worked closely with their IT Department to develop a custom template with two color options that could be applied to all schools. This helped them standardize their websites and still allowed for each school to publish their own information.